← The Pharcyde ‘Runnin / Passin Me By’ (Chris Read Remixes) Double 7″ Vinyl Out Now! 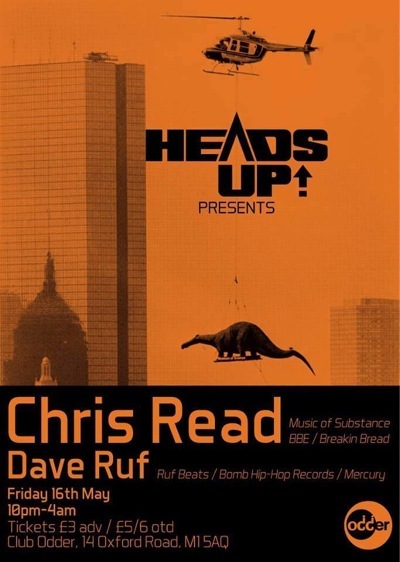 This Friday I’ll be back in Manchester to play at Heads Up alongside Ruf Beats label boss Dave Ruf. This entry was posted in News and tagged Chris Read, Funk, Gigs, Heads Up, Hip Hop, Manchester, Ruf Beats. Bookmark the permalink.